Apple ditching Google Maps in favour of own service? It looks like Apple is developing its own mapping service after it became clear that the iPhoto app on the new iPad does not use Google Maps to geo-tag images. Apple currently has a contract with Google which allows it to use the search giant's mapping system on its various idevices, but according to a 9to5mac source this expires at the end of 2012 and Apple is yet to renew for 2013. As tension increases between Apple and Google, the Cupertino based firm could be looking to distance itself from a key rival by bringing mapping in-house. Google's mapping service is known worldwide and Apple has a job on its hand to replicate its success. 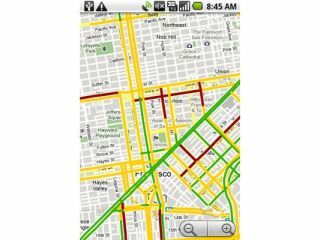 iPhone, iPad and iPod users have become accustomed to the Google Map integration on their devices and a shift away from this would mean a massive change and could grind the gears of loyal customers. Apple does have some tricks up its sleeve though, as it has purchased three separate mapping services which it may look to combine into a central uber-mapping solution. Is Apple right to move away from Google Maps, or is it going to run into trouble? Let us know your thoughts in the comment box below.